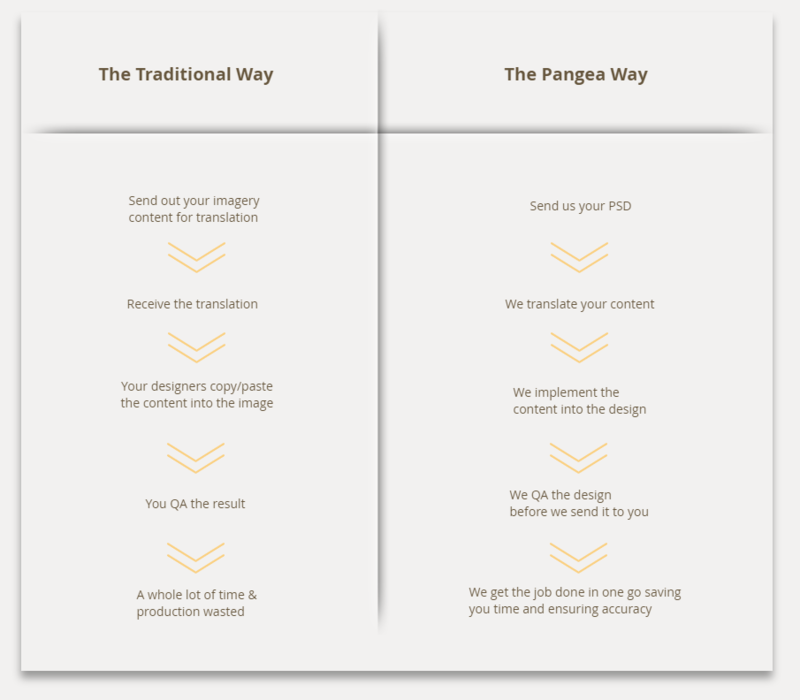 Pangea’s on-site design team is dedicated to creating strong localized design and visuals in any language you need. We have the artistic and creative skills to communicate a brand’s message and value through a design that’s tailored for all cultures and locales. resonates to their customs and ideals. With effective brand localization and tailored design, your brand can engage overseas audiences. We’re Sensitive to Colors, too! Color preferences vary widely between cultures. When internationalizing your website, image or banner, our graphic design experts make sure to use colors that closely align with the ideals of a specific market. 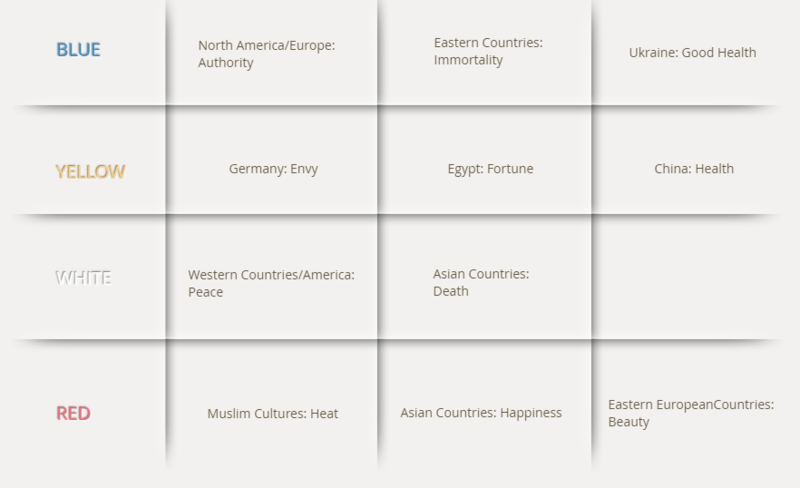 Different colors demonstrate different meanings in each respective culture. We will tweak your imagery content for global markets, by using colors that fit their expectations whilst maintaining brand consistency. We specialize in localization design, down to the finest visual detail. Our designers consider font size, weight and layout adaptions when it comes to a translated web page, banner or image. The designers at Pangea will make sure that they adjust the fonts and scripts accordingly and immaculately, ensuring you of a perfectly localized design. Did you know that up to 35% text expansion is needed when translating from English to other languages? We bear in mind how your target language will affect the design. For example, our designers will ensure that there’s enough “white space” for translators to add or expand words. Certain languages like Arabic have scripts that are written from right to left. This requires huge design changes if you’re translating from a left to right language. Our designers have the skills to adjust or change the layout and format of your design which usually needs to be flipped or reversed. We provide a user interface and experience that’s designed for the market’s cultural trends. Our localization experts will not only make sure that the right imagery and font is used, they will also consider the finer details like numeric, date formats and currency – factors that are region specific. • Time: 12-hour vs. 24-hour time. Don’t end up with a localization mistake! Pangea’s designers work with a variety of cultures and languages – that way, you avoid political, cultural or religious offenses. if the content/layout is unattractive.